Brands like Williams Sonoma, Warby Parker, Anthropologie and many others have thrived on quality content. They have embraced the idea that quality content is the key to their success and they have invested money and time on that content. Take a look at The Huffington Post. The homepage is sure to tantalize you with its variety of content – audio, print and video. Everything is crammed into the website. Huffington Post has become a brand, thanks to its engaging content. The same thing happens when you look at Amazon and see the kind of informative content they publish – detailed product descriptions and reviews. You’ll see that the product picture is not that important here. It’s the content that’s pushing all those Amazon sales. It’s content that has created the brands credibility. In the past, you could just ask for the buyer’s attention when the media wrote a story about your business, product or service. Most mid-sized and small businesses couldn’t afford advertising too much due to the high costs. Then came self-publishing. Businesses started to write articles and post them to online directories and their own websites and blogs. Content marketing has changed significantly since then. This is the age of multiple streams of media. So don’t restrict yourself to just one kind of content. Do it all – articles, blogs, audio, and video content that you can post at YouTube and share with the world. Another important change is the emergence of social media content. Keep posting and sharing valuable and interesting content. Who knows, your next piece could become viral quickly, and bring in loads of interested visitors. Also when you generate socially viral content, you’ll be giving your website SEO boost as well. When you are writing content for publishing on your website, don’t just write for SEO. That’s history, and rightly so. By stuffing your content with keywords, you won’t really be helping anybody. In fact, Google might even penalize you for keyword stuffing if you do this. You should rather concentrate on making the content valuable for your readers. Make it informative, interesting, relevant and engaging. Answer a question, solve a problem. Do things that readers or your customers can seriously gain from. Make the Headline or Title count. Make it arouse interest. Readers will want to read on if you can do this. Also, remember to include sub-headlines and bullet/numbered lists so that it’s easier to scan through the important parts of the text. Try to become a person of authority in your niche, and you’ll see that readers are coming back to read your content. You don’t have to sell something always with your content. In fact, the best approach often is to be subtle with most of your content. Publishing infographics is another great strategy. Most people don’t like to read a lot online. But images are pleasing to look at. Publish infographics informing your customers and potentials on real issues. They become viral quickly too. You could try countless strategies to strengthen your digital marketing campaign. You could even travel around the country attending workshops to learn about the latest marketing theories and tips. But all this is likely to fail if you don’t have content in your plan. And plain old content won’t do. Remember, it should always be quality content. Focus on value, not on volume. 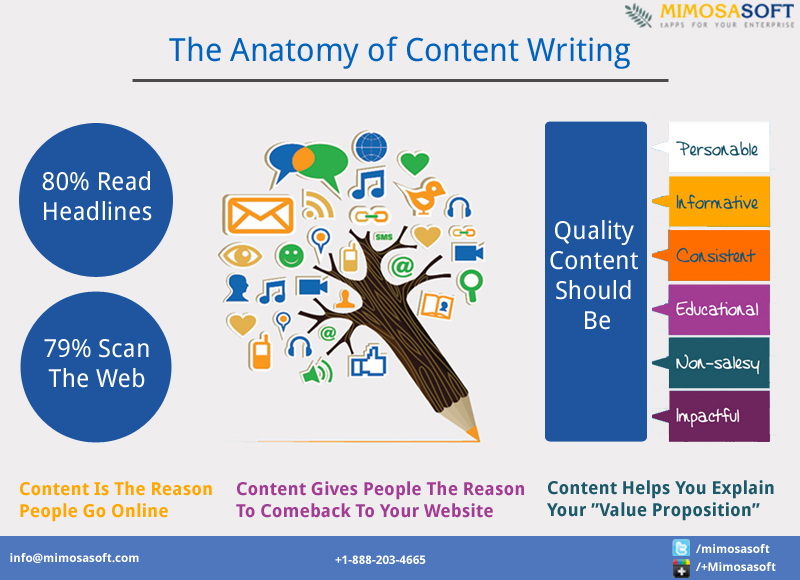 Quality content can draw in readers and drive traffic. Quality marketing content can boost your conversion rate too. It engages customers and makes them want to return for more.